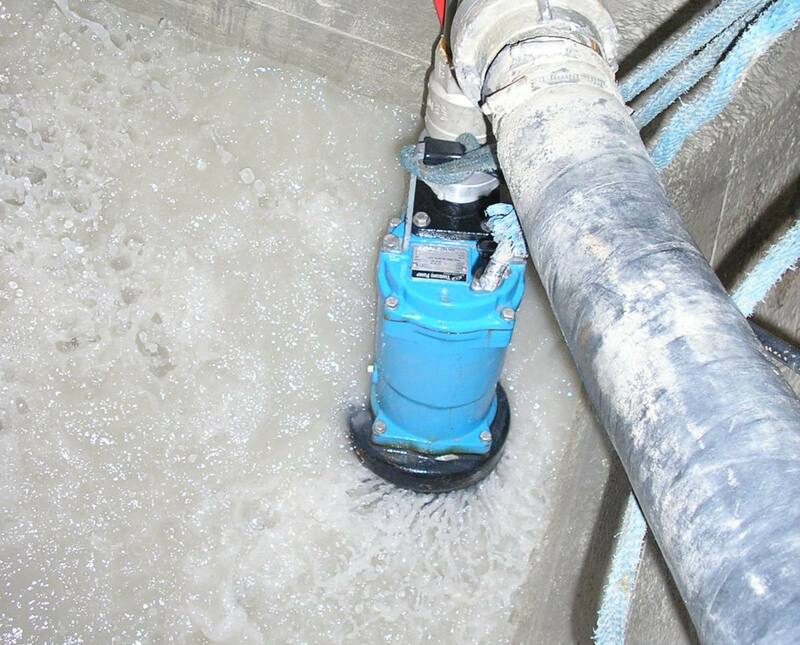 Working with batch plants in Sydney, Australian Pump has come up with a low cost solution for silt removal. A Tsurumi single phase portable sand pump is lowered into the sludge. When activated the pump’s built-in agitator moves the waste into suspension and it passes through the pump. “These tough, portable submersibles are designed to handle abrasive sludge,” said Aussie Pump’s product manager Neil Bennett. “The high chrome agitator stirs the sludge into liquid slurry. This can then be pumped into the wedge pit or washout pit to be reclaimed with other waste material,” he said. Tsurumi’s model HSD2.55S has a 50mm (2 inch) discharge port. The heart of the pump is a semi vortex high chrome iron impeller designed to pass sand and silt laden water easily through the pump chamber. The shaft mounted agitator prevents “air lock” and stirs the mixture liquidising the sediment so it can be passed. The agitator is also made of high chrome iron for long wear life in demanding applications. Other key features include an anti-wicking block at cable entry. That block prevents the incursion of water due to capillary wicking in the event that the power cable is damaged or the end submerged. This unique Tsurumi feature prevents one of the major failures of motors in submersible pumps. The pump produces up to 220 litres per minute flow and has a maximum head of 13.2 metres. The motor is a single phase squirrel caged submersible design, drawing 7.2 amps at full load. Starting method is fully enclosed capacity. “This single phase submersible can also be easily applied in an emergency or used as a portable general yard pump,” said Bennett. An automatic version with built in float switches is now also available. “The price of this pump less than that of a vac truck visit so it’s an easy way to cut costs,” said Bennett. Australian Pump has been working closely with batch plants to increase productivity and profitability in a number of areas. Using purpose designed pumps that last longer are fundamental to cost reduction. 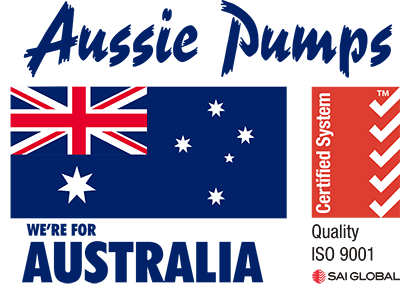 Like all Tsurumi pumps sold by Australian Pump they are covered by an exclusive three year warranty.